Benoit is VP Product Line Management at iBwave, in this role he is responsible for evolving iBwave’s current products as well as expanding the company’s overall product portfolio. As such, he drives the definition and launch of new products and services, while also working with partners to offer complete in-building wireless solutions. Benoit has extensive experience in the telecommunications industry ranging from startups to large global corporations. Throughout his career, Benoit has held senior positions with network equipment manufacturers, test solution companies and an emerging mobile operator. Before joining iBwave in 2013, he was Director of the Transport & Datacom Business Unit at EXFO, a global test & measurement equipment provider. Prior to this he was VP and GM of the Instrumentation Division at Averna, a global test engineering solutions company. Benoit was also CEO of Lynx Mobility, a Northern Canadian mobile operator which he helped establish from the ground up. 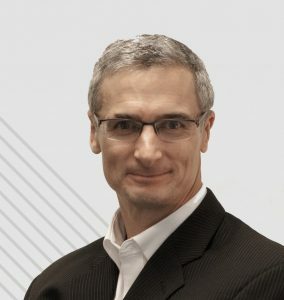 Earlier in his career, Benoit was a key member of the Nortel team which developed and deployed high capacity optical systems worldwide; he was the original product manager for Nortel’s 2.5 Gb/s optical product and later a development director for the company’s highly successful 10 Gb/s system. Benoit holds a Bachelor of Electrical Engineering from McGill University and a Masters in Electrical Engineering from Concordia University, both in Montreal.